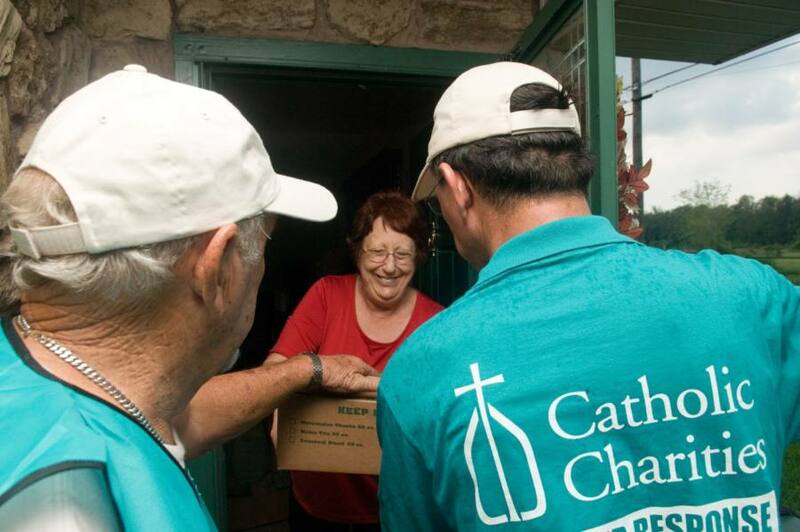 Catholic Charities USA is the official domestic relief agency of the U.S. Catholic Church. Our disaster response team – along with the knowledge and expertise of our member agencies – mobilizes quickly and effectively to aid those experiencing or recovering from disasters. Catholic Charities is known for its hard work that begins with direct relief efforts to meet immediate needs and continues, sometimes for many years, with long-term relief efforts that help individuals and families rebuild their lives. CCUSA’s Applied Institute for Disaster Excellence (AIDE) is a "by the network, for the network" training that strengthens local disaster preparedness and response capacity. Attendees come away with best practices and new relationships that serve as critical assets during a disaster. Since Hurricane Katrina, CCUSA has helped hundreds of thousands of individuals recover from disasters. Catholic Charities are in the community for the life of the community. When a community is impacted by a disaster, those every day needs expand from taking care of individuals to taking care of everyone.